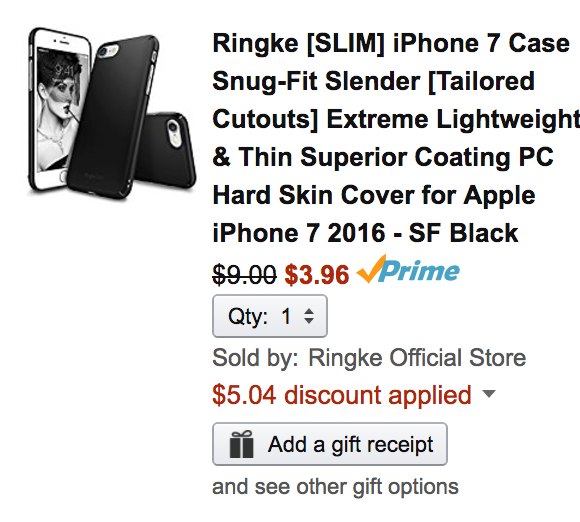 Ringke’s Official Amazon Store is discounting another round of iPhone 7/Plus cases for as little as $3.90 when an item-specific code is applied during checkout. Free shipping is available for Prime members or in orders of $35+. Ringke cases have generally received excellent ratings across the board. Simple and easy to put on and best of all, STAYS on! A piece of cake and can’t go wrong. Simply snap on the case in one smooth motion and enjoy the luxurious bright and colorful slim protection with a look many people already admire. Make a fashion statement when you pull out the device from your pocket or bag. Ringke Slim comes in seven beautiful and elegant colors. Go ahead and pick and choose according to your taste and need.